It’s been a busy few weeks for the Coffee Spot, with lots of travel and extra-curricular activities, culminating in the three days I spent at this year’s London Coffee Festival. However, it doesn’t end there, since this week will see the Caffè Culture Show, where I’m judging one set of Awards, while simultaneously being in the running for an award of my own in the annual Coffee Stops Awards (this year extended from London to the whole of the UK). 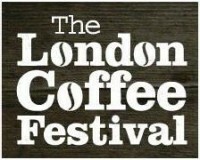 However, I’m getting ahead of myself, so let’s get back to the London Coffee Festival, which, I’ll venture to say, was bigger and significantly better than last year’s event. Just like last year, I’ll be writing a series of themed Saturday Supplements, each covering a different area, combining my experiences across the three days that I attended (Friday, an industry day, and the two consumer days, Saturday and Sunday). Today’s Saturday Supplement features a general round-up of the festival, what I made of it, the highs and lows, and what was different from last year. The remainder will cover kit, cups (yes, once again, cups played a large part in my Coffee Festival), my coffee experiences, the La Cimbali sensory sessions and the coffee itself. A veteran of two previous London Coffee Festivals, plus the likes of the lovely Cup North, I had a fair idea of what to expect, although there were a few, significant changes from last year. The Milk and Sugar zone was back again on the ground floor, but while last year it had the amazing St Ali pop-up café which made a great place to chill out, this year there was only a bar, which wasn’t quite the same. In a similar vein, the Artisan Food Village, which had been a festival fixture, was gone, replaced by four food stands tucked away at the back of what had been the food village and rebranded the White Label Kitchen. I had mixed feelings about this; on the one hand, I missed the Food Village. With just four stalls, three of which were serving meat, my choice of food was radically reduced. Thankfully the wonderful Arancini Brothers were still in attendance, so I didn’t go hungry. I also missed the seating area, its absence forcing people to eat their food on the go. On the other hand, the Food Village did take up a lot of space, which was freed up for more exhibitors. Also, from an exhibitor point of view, I can see not having the tables is a good thing; what you actually want is people circulating around your stands, not sitting and eating in the food village. As well as the White Label Kitchen, there were plenty of stands offering sweet treats, with the lovely Crosstown Doughnuts topping my list of must-visit list. The other main difference was the competitions. The UK barista championships, which has taken place at the festival in recent years, went elsewhere this year, to be replaced by the Coffee Masters competition. This is a multi-disciplinary competition, pitching 20 baristas from all over the world against each other in head-to-head contests. Despite my best intentions, I never actually saw any of the rounds. Whenever I went into the competition area, it was always in the middle of a bout and the place was packed. However, I can report that the first ever Coffee Master is Workshop Coffee’s James Bailey, who defeated Germany’s Patrik Rolf Karlsson in the final. The other major change from last year was something I complained about last year, when it was very hot and humid. There was no air-flow at all and, with all those espresso machines, plus several thousand people, generating a lot of heat, it was really quite oppressive and, at times, unpleasantly so. However, this year was much better and something a lot of people commented on. I’m not sure what it was that made the difference, but despite having even more visitors, it felt more relaxed and less crammed and pressured than last year. I think it helped that it was cooler outside; it only got really hot and humid on the final day, when the sun finally came out. Perhaps we should all hope for a really cold and miserable start to April next year, so we can all enjoy the 2016 Coffee Festival when it rolls around from 7th to 10th April. With the obvious exceptions of the much-reduced food village and the absence of a pop-up café downstairs in Milk & Sugar, the layout was much the same as last year. You enter via the main hall, which has big industry names, including Costa and Starbucks (two stalls I didn’t visit!) as well as the tea and chocolate villages, plus the main stage where various bands played throughout the weekend. I actually spent a significant amount of time there this year, but only to visit my friends at Hope & Glory and to hang out at the excellent La Cimbali stand. Next is the True Artisan Pop-up Café and the surrounding stands. As ever, this was a big part of the festival for me and I spent a lot of time there. Although I travel the country in search of good coffee, the True Artisan Café brings the best that the UK has to offer in terms of roasters and cafés together in one place. Just as last year though, despite being there for three days and spending a good chunk of it in the True Artisan Café, I still missed about half of the roasters/cafés that I’d hoped to see. Beyond that was the Make Decent Coffee Lounge and The Lab, where various talks were held. I gave these a miss, not through any lack of desire to see what was going on, but because I spent a lot of time at the Make Decent Coffee Lounge in the last two years, while every time I went to The Lab to see a talk, it was already packed! The other area I didn’t spend a lot of time in was the competition area for similar reasons! That just left the various display areas, which is where you would have found me (and many people did!). There were lots of interesting bits of kit on display this year, from self-zeroing scales to a home coffee roaster, while my personal favourite was the stand-alone steam wand. The roasters were out in force, from the massive The Roasting Party stand through the usual suspects such as Grumpy Mule and Union, to smaller affairs such as the Isle of White’s Island Roasted, plus innovation from the likes of Assembly Coffee. There was cold brew galore, although I still haven’t found one I liked, while all the reusable cup manufacturers were there: I managed to come away with one of each! You can catch up with all my adventures in the remaining Saturday Supplements in the series. I’ll end with a couple observations, which are the same ones that I’ve been making for the two years. The first is that there’s no cloakroom, so whatever you bring, you’re going to have to carry around the festival with you. Although the lack of a cloakroom was pretty prominently displayed on the website this year, there were still loads of people wandering with rucksacks on or with huge bags slung over their shoulders, a real nuisance when it’s so crowded. My second observation is that there’s no water. Although it wasn’t such an issue this year, it’s still a serious short-coming. When you’re drinking coffee all day you easily get dehydrated, so plenty of water is essential. My advice is to make friends with any of the stands doing filtered water and ask them nicely to fill up your water bottle for you. In closing, the festival was immense fun, even better than last year. Put the dates 7th to 10th April in your diary right now and start looking forward to another weekend of coffee-fuelled madness. For some different perspectives on the festival, take a look at Laura Hyatt’s post and Giulia’s round-up of scenes from the festival’s industry days. The Commodities Connoisseur has produced an extremely thorough festival review, which has, in Coffee Spot style, been split up into four parts. This entry was posted in Festivals/Awards by Brian Williams. Bookmark the permalink.